The Canadian Championship will expand to 13 teams in 2019 with the addition of seven Canadian Premier League clubs. They join Toronto FC, Montreal Impact and Vancouver Whitecaps from Major League Soccer, Ottawa Fury FC from the United Soccer League and a team from both League 1 Ontario and the Premiere Ligue du Soccer de Quebec (PLSQ). As defending champion, Toronto will enter the competition in the semifinals, one round after Vancouver, Montreal and Ottawa join in. All three MLS teams joined in the semifinal round in 2018, when the field was just six teams. The five-round, 24-match competition kicks off May 15 with the two-legged final set for Sept. 18 and 25. The tournament winner hoists the Voyageurs Cup and will represent Canada in the 2020 Scotiabank Champions League. 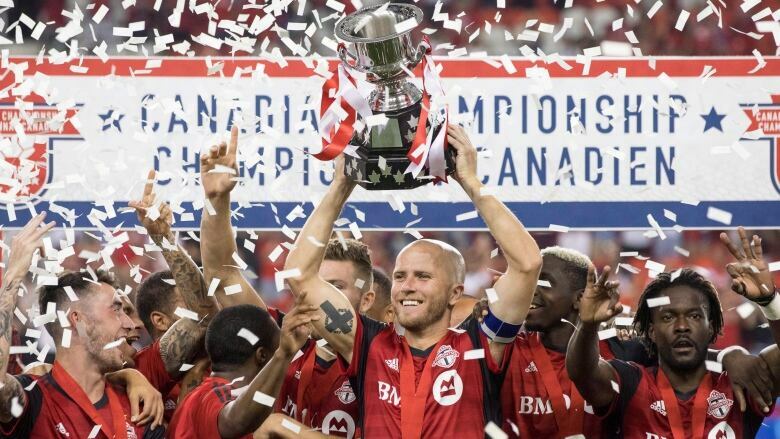 "The Canadian Championship has evolved into a true domestic cup competition with multiple levels of entrants all battling to secure a coveted Scotiabank CONCACAF Champions League spot," Canadian Soccer Association president Steven Reed said in a statement. The CPL is scheduled to kick off its inaugural season in April. Each of the 2019 Canadian Championship rounds will be contested in a home-and-away format. The first qualifying round, to be played May 15 and 22, will feature six teams: PLSQ's AS Blainville and League 1 Ontario's Vaughan Azzurri plus the CPL's Pacific FC (Victoria), Cavalry FC (Calgary), York 9 FC (north Toronto) and HFX Wanderers FC (Halifax). The four CPL teams that start in the first round got their Canada Soccer membership in 2018. Blainville, part of last year's field, and Vaughan cannot not be drawn together in the qualifying round. The second round, to be played June 5 and 12, features the first-round winners and FC Edmonton, Forge FC (Hamilton), and Valour FC (Winnipeg). FC Edmonton gets a bye to the second round as a team returning to the Canadian Championship as a CPL member. Forge FC and Valour FC enter in the second round by virtue of acquiring their Canada Soccer professional club status in 2017. The Montreal Impact, Vancouver Whitecaps and Ottawa Fury FC will come into the competition in the third round, scheduled for July 10 and 24, facing the three second-round winners. The three third-round winners will join Toronto in the semifinals, Aug. 7 and 14. Each of the two-legged rounds will be determined by aggregate score over the two legs. In the event of a tie, away goals will be used to determine the winner. In the event that does not decide the outcome, the game will go straight to penalty kicks.